Recently, I wrote a post about flareGet download manager. 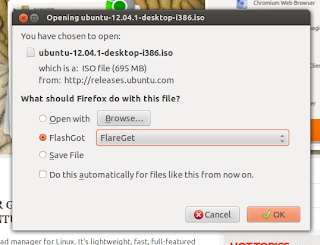 Today, I'd like to show you how to integrate flareGet with Mozilla Firefox. Integrating is very useful, when you click download link on any website, flareGet automatically opened and download the file. 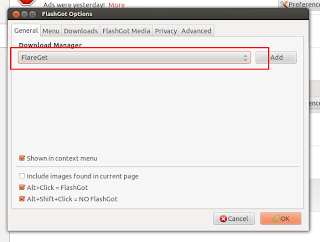 First thing first, you have to install Firefox extension "FlashGot", simply click "Tools > Add-ons" on Firefox menu, search for "flashgot" then install it. 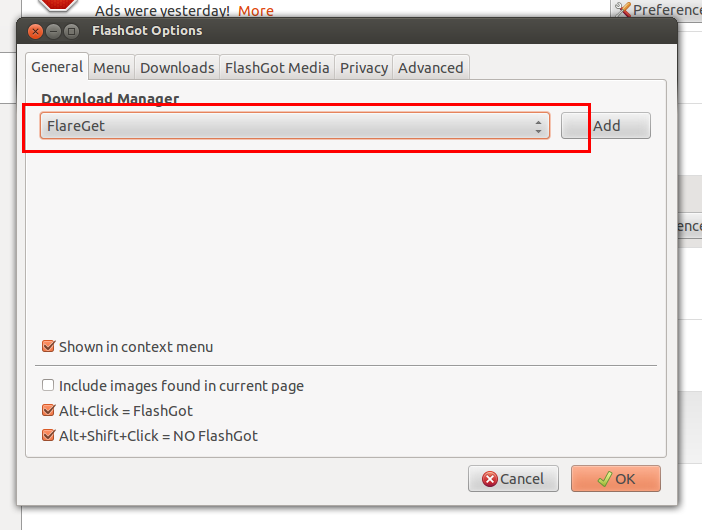 Once installed, please click on FlashGot Preferences, and select flareGet as download manager. Click "OK" and you're done! Now, when you click download link on Firefox, there will be a choice to choose whether to download with flareGet. Optionally, you can check "Do this automatically for files like this from now on" if you want to download with flareGet automatically.